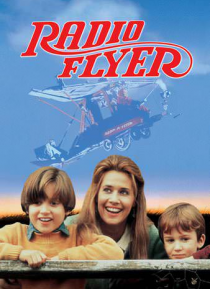 When their parents divorce, brothers Mike (Elijah Wood) and Bobby (Joseph Mazzello) move to a California suburb with their mother, Mary (Lorraine Bracco). Soon after, she remarries a man (Adam Baldwin) who insists on being called "the King" and who beats young Bobby when Mary isn't around. The boys try to escape their harsh home life through fantasy, most of it centered on their Radio Flyer wagon.… Inspired by the legend of another neighborhood boy, they hope to make it fly.